What it’s about: First, a correction: Last week we said that “New England Vampire Panic” sounded like the name of a ’90s emo band. That punchline should have been “’00s emo band.” We regret the error. Anyway, this week we look at that time a swarm of vampires swept through Rhode Island and Vermont. At least, that’s what people there convinced themselves was happening. Biggest controversy: The 19th century had some wild beliefs about medicine, unlike our modern, enlightened era where science teaches us that food is impervious to harm until the sixth second it lies on a dirty floor. Tuberculosis (then known as consumption), was thought to be caused “by the deceased consuming the life of their surviving relatives.” In response to a tuberculosis outbreak, people went full Van Helsing, exhuming bodies of people who had succumbed to the disease, and ritually burning their organs to stop the dead from attacking the living. Strangest fact: It’s not clear why people buried tuberculosis victims, then exhumed them and burned their organs, but that seems to be what happened. Rather than playing it safe, New Englanders would bury the first member of a family to die of the disease, then if the others started to fall ill, they’d blame the deceased and dig them up. They did at least apply some deductive reasoning—the corpse was only thought to be the cause of TB if “it was determined to be unusually fresh,” especially so if it still contained liquid blood, which it had clearly been siphoning off of the living. That’s just science. 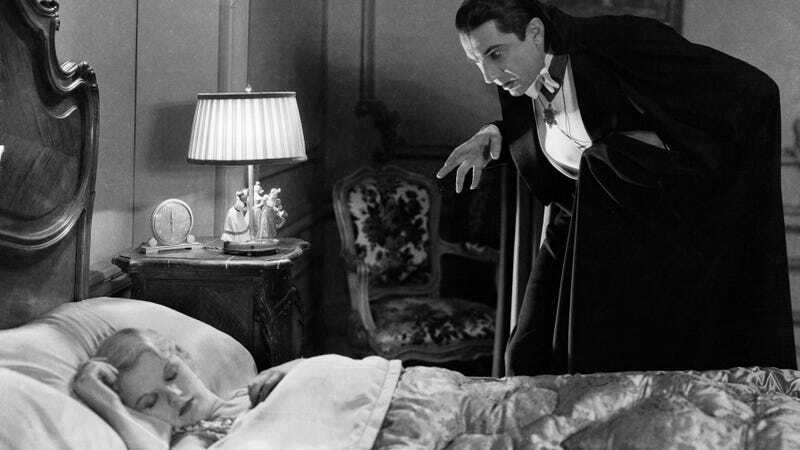 Thing we were happiest to learn: Vampires may drink blood, but humans could still outdo them. Mercy Brown was a famous vampire panic case, having died after her mother got the disease and spread it to her and two siblings. George Brown, her father, didn’t believe in vampires, but was pressured into exhuming his family members when his youngest, Edwin, fell ill as well. Mercy’s body had hardly decomposed (most likely because the body was stored in an above-ground crypt during a cold winter), and contained what was thought to be fresh blood, so it was determined she had caused the disease (though three other family members had it first). Her heart and liver were burnt, then mixed with water and given to Edwin to protect him from vampiric influence. He died two months later. Also noteworthy: When we say “vampire” we don’t exactly mean “vampire.” Wikipedia takes some time to acknowledge that those taken in by vampire panic wouldn’t have used the word, and the vampirism we describe wouldn’t be familiar to those who grew up on Anne Rice. No one expected their dead loved ones to rise from the grave, much less bite anyone’s neck. But superstitions of the dead draining the life force from the living were consistent with Eastern Europe’s vampire myths of the same era. Best link to elsewhere on Wikipedia: While both tuberculosis and superstition mostly affected the lower classes, when Frederick Ransom, a son from a wealthy family, died of the disease, his family had his body exhumed and his heart burned on a blacksmith’s forge before a crowd of hundreds. Ransom had been a student at New Hampshire’s Dartmouth College, the last of the nine colleges founded in colonial times. The institution has a colorful past, as it was founded to Christianize Native Americans, quickly changed its mission to train white Congregationalist ministers, and eventually grew to be a well-respected liberal arts college. In 1817, the state of New Hampshire took over the campus, intending to set up a public university. For a year, Dartmouth College courses were taught in rented rooms off campus, while the new Dartmouth University took over the old campus. Alumni Daniel Webster went to the Supreme Court to restore the college to its rightful home. Further down the Wormhole: Thoreau’s place in history is secure, as there’s apparently a Hall Of Fame For Great Americans, to which he belongs. The hall is a real place—the first of its kind in America—an outdoor sculpture garden containing bronze busts of 98 noteworthy Americans. We were going to use this as the first link in a chain, but we could talk all day about who made the cut and who didn’t, so we’ll do so next week.